I plan to graduate with my D.M.D. degree in four years and eventually open my own private dental practice. After countless hours of volunteering in various dental clinics, I truly have seen the difference a good dentist can make. This mutual respect and compassion is something I wish to share with my future patients. How will you use the funding you received from the 1,000 Dreams Challenge? I was recently accepted to the University of Florida’s College of Dentistry, and a majority of the funding will go towards my first deposit to secure my spot in the Class of 2020. Going to dental school is quite an expensive endeavor, and most dental students graduate with tens of thousands of dollars in debt. Unfortunately, there are not a lot of scholarships offered to offset these costs, meaning I will have to take out loans to pay for my education. That being said, any scholarship will help me get closer to my goal, and I appreciate the helping hand from 1,000 Dreams Challenge. While chasing your dreams, you will invariably reach a point where you must step out of your comfort zone in order to achieve significance. The boundaries of this comfort zone vary for each individual, but those who successfully accomplish their dreams must act out of boldness. Several months ago, I found out that I will have to undergo a major surgery during the Spring semester of my senior year. This means I will miss several weeks of class and won’t be able to compete during my final season on Stetson’s tennis team. After some research and major soul-searching, I have realized that the long-term benefits of the procedure will be in my best interest. While challenging times are ahead, I trust that the support from my friends and family will help me with a speedy recovery. 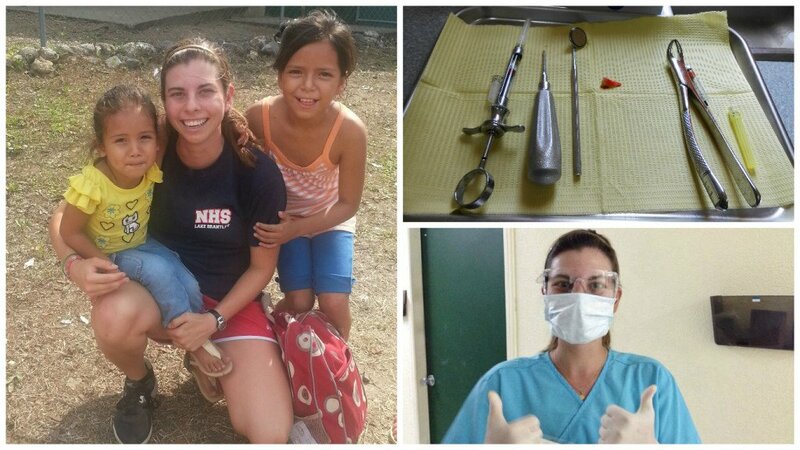 I was fortunate to serve on a medical mission trip in Honduras two summers ago. The experiences I had in this remote, mountain village are some that will forever remain with me. Upon my departure, I made a promise that this would not be the last time I visited this village. After I graduate from dental school, I hope to return to the village, this time being able to make my own contributions to the clinic.